Player exclusive Nike KD 9s for the Wildcats. 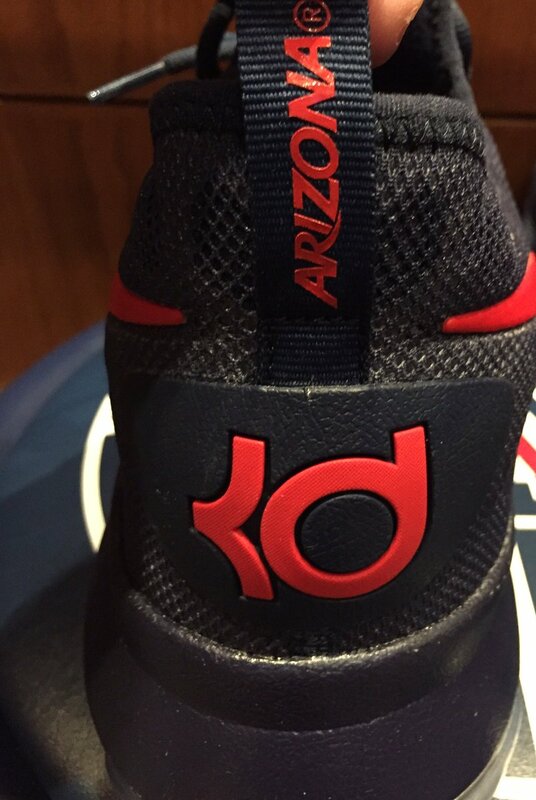 What kind of sneakers will the Arizona Wildcats have access to this season? The assistant director of equipment operations at Arizona already shared one pair, a Nike KD 9 decked out in Wildcats colors. Thankfully, the shoes go beyond the standard NIKEiD style treatment of previous years and actually feature Arizona logos. 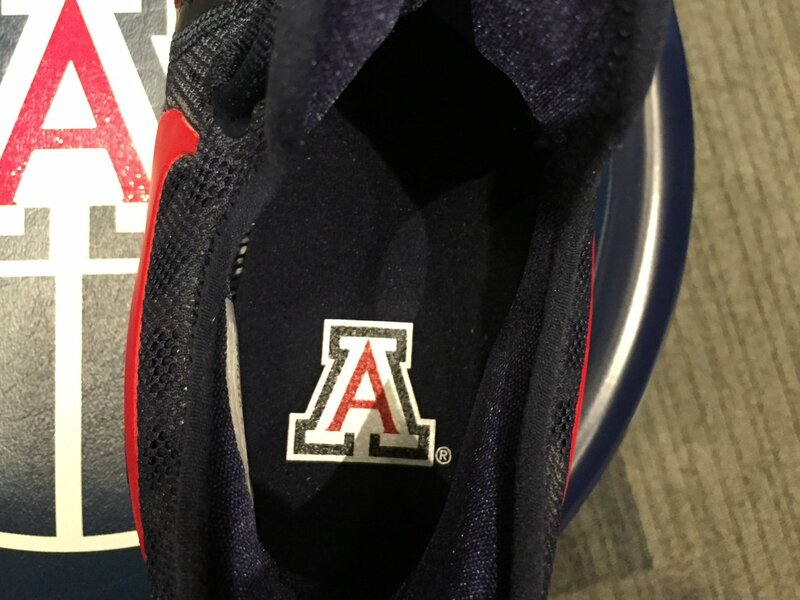 The school's A appears on the insole while the pulltab on the heel reads "Arizona" in a stylized script. The Nike KD 9 has already been seen in a host of collegiate colorways, Texas and Duke's pairs among them.